You’re in for a treat! 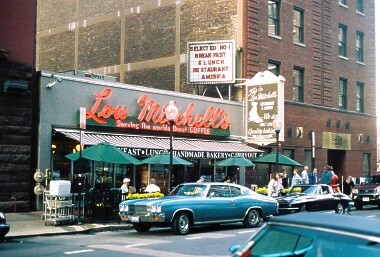 Lou Mitchell’s is a Chicago landmark and a favorite of Route 66 since 1923. The staff serves up great food to over 1200 customers each day. A tradition at this friendly restaurant includes a free box of milk duds while you’re waiting for your table.